Catherine Wilson (piano); Erica Beston (violin); Sharon Prater (cello); Norman Hathaway (violin); Jonathan Craig (viola); Philip Seguin (trumpet); Dave Young (bass). 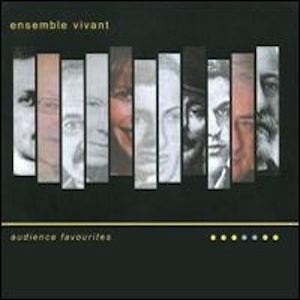 Ensemble Vivant — the core of which is piano, violin and cello — has been recording and performing to sold-out houses throughout North America and Europe for over 20 years. Their quest is to discover and reveal rarely heard but deserving works from the classical repertoire as well new versions of vastly diverse styles from jazz to musical theatre to Latin Dance. No matter the genre, the repertoire chosen for is timeless and at the same time new. Whether an old favorite or an intriguing discovery, each piece displays the ensemble’s radiant energy and attention to detail.